Japan has been dominated by the invading forces of the Britannia Empire. Much of the nation's forces have been outnumbered and outclassed by their giant mecha weapons called Knightmare Frames. Japan was soon renamed as Area 11 and is placed under the iron-fisted rule of Britannia. However, one certain Britannian known as Lelouch was living in Japan and made a promise to a friend to free his country from their rule and put an end to the Empire. Years pass and Lelouch stumbles upon a group of terrorists hiding a stolen military secret. They are all captured by Suzaku, an officer of the Britannian Task Force. 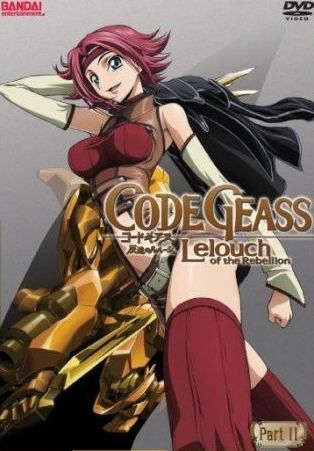 Lelouch discovers that the secret is a young girl, who gives him a mysterious power known as the Geass. However, Suzaku is also made the pilot of a new prototype Britannian mecha known as the Knightmare Lancelot. Lelouch, assuming the identity of the Masked Knight Zero, leads a rebellion to take down the Britannia Empire once and for all. Will Japan ever regain its independence from this tyranny?